Benjamin: Just how do you mean that, sir? 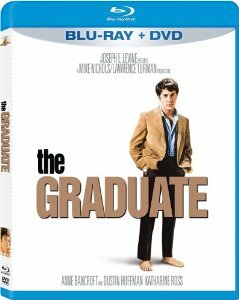 In the 1967 movie, The Graduate, a family friend, Mr. McGuire, offers Benjamin (Dustin Hoffman) just one word of advice to set him on a path to future success: “plastics.” That was more than 40 years ago. If I were to adopt a one-word recommendation for the emerging generation it would be: “nanotech.” I’ve mentioned this before. I was reminded again last week about how dramatic the development in the science and technology of billionth-of-a-meter devices is. Singapore’s Agency for Science, Technology and Research (A*STAR) Institute of Materials Research and Engineering announced a partnership with 10 European Union organizations for the ATMOL project–an effort to build a single molecule computer processor. A*STAR’s IMRE and 10 EU research organisations are working together to build what is essentially a single molecule processor chip. As a comparison, a thousand of such molecular chips could fit into one of today’s microchips, the core device that determines computational speed. The ambitious project, termed Atomic Scale and Single Molecule Logic Gate Technologies (ATMOL), will establish a new process for making a complete molecular chip. This means that computing power can be increased significantly but take up only a small fraction of the space that is required by today’s standards. But here’s the thing about this path to success: How do you sustain a career in a field where your current knowledge is as evanescent as the morning dew? Riches will be made in nanotechnology, but knowledge obsolescence has been a problem for mid-career technicians in IT for decades. I don’t see how it’ll get any better.